Fed on acorns, chestnuts and grass, the pigs are allowed to roam the Basque mountains to fatten up naturally. Each ham is then cured using salt and hung for over 2 years. The result is an indulgent-tasting ham that has a wonderful melt-in-the-mouth texture and a delicious nutty and salty taste. The best way to enjoy this cured Basque ham is freshly sliced. Perfect for parties or family gatherings, why not make this whole leg of ham the main centre piece of a meal, showcase it at parties for your guests to enjoy, or add to soups and stews and other dishes. 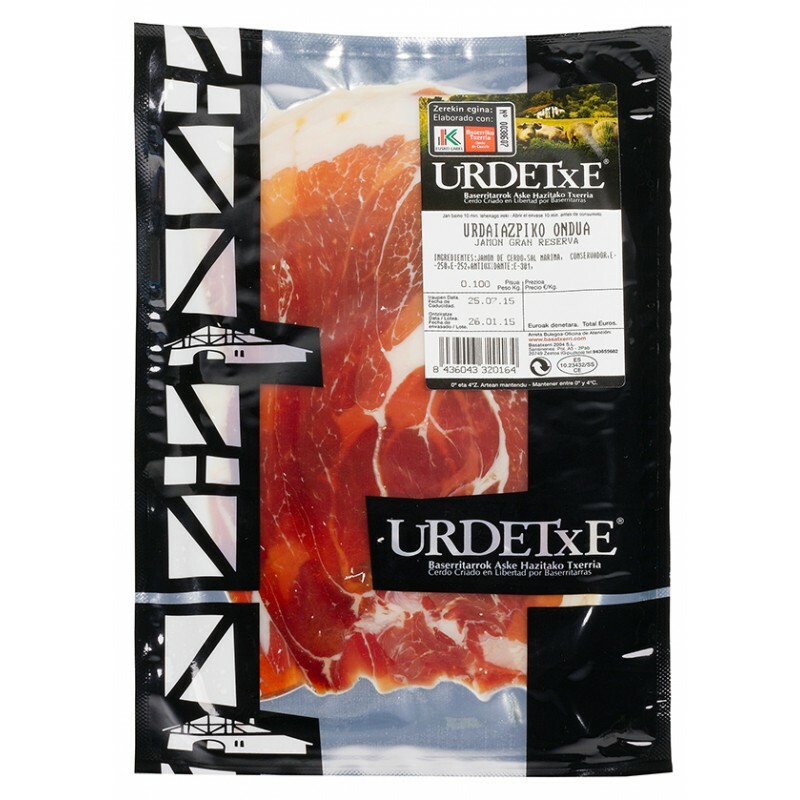 Our cured Basque ham provides one of the most traditional tastes of the Basque Country for everyday cooking or entertaining.